It’s a fine question to ponder as the curtain rises on The Jezabels’ third album. High expectations are a given now, seven years since those first EPs began their slow burn from Sydney to the world; four since PRISONER scooped the Australian Music Prize and set stages ablaze from Splendour to Lollapalooza. Yeah, they know that feeling too, after the turmoil of illness and dislocation surrounding their aptly titled second album, THE BRINK. Don’t even ask. Just cue a second #2 debut and another spectacular global onslaught. What’s a band to do? The answer is short but loaded to the teeth. SYNTHIA. The title gets Hayley Mary talking in pictures as big as the music itself. From the Greek goddess of the moon to ’80s synth-pop goddess Cyndi Lauper. From The Heroine’s Journey to the rock world’s simplistic perception of the synthetic feminine versus the authentic male. All that’s between the lines, of course. The Jezabels didn’t choose their biblical namesake at random when Hayley and Heather met Sam and Nik at Sydney Uni almost a decade ago. Their deeply felt gender agenda has only grown more potent and personal as the world bends slowly to its fury. Here their Trojan horse of big, cinematic rock has escalated in scale. With PRISONER producer Lachlan Mitchell back at the desk and Heather’s growing arsenal of new and vintage keyboards pushing the textural frontier, SYNTHIA is a bold assertion of craft that sets this band apart in a world groaning with blokes doing their best impersonation of rock authenticity. “Heather had a couple of new synthesisers, so a lot of ideas were coming from her and then we’d build the songs around them,” Hayley says. “We were back in Sydney [from London] in January, we just got together to rehearse and we wrote about four songs in a week. SYNTHIA plays like a widescreen heroine’s journey in 10 parts — or maybe 11, if you count the swooning opening dream sequence of Stand And Deliver, with its spoken word invocation of Shirley Temple via Edie Sedgwick. The far bookend is Stamina, another seven-minute drama that rises from liquid guitar ripples to an ecstatic, crashing crescendo of drums and determination. The pendulum swings from ether calm to operatic epiphany within the space of any given song. The electronic glitch and thrash of My Love Is My Disease balances the symphonic undulations of A Message From My Mothers Passed. The sinuous groove and sigh of Smile and the sensuous swing and electro burbles of Pleasure Drive find the band forging breathtaking new scaffolds of rhythm and melody for stories that have never been more timely. “Previously I’ve shrouded myself a lot in mystery and the language of romanticism; played roles and stuff — which reflected some kind of truth about how I felt as a woman,” Hayley says. 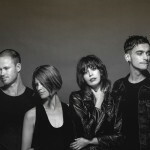 Native Tongue writers The Jezabels dropped by triple j Breakfast earlier this week to debut their new song ‘The Others’. The single was recorded with the band’s long time producer Lachlan Mitchell, and mixed by Bob Clearmountain (Bruce Springsteen, The Cure, Crowded House), and marks the first track the band have released since 2016’s critically acclaimed album, ‘Synthia’. To coincide with the release, the band are set to play a run of seven nights at the Lansdowne Hotel in Sydney from August the 21st to the 28th of the month. The shows have already sold out. After postponing a national tour in support of their latest album “Synthia” earlier this year, The Jezabels have announced rescheduled dates. Native Tongue is glad to hear Heather Shannon is feeling strong again after her treatment. The Jezabels will be joined on tour by Native Tongue writer Ali Barter. The band will perform headline shows around Australia throughout October. 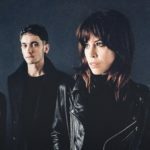 The Jezabels have debuted in the ARIA Albums Charts at #4 with their newest album Synthia, making it the band’s third record that has debuted in the top five. The album has garnered a considerable amount of favorable reviews from critics, including the below. 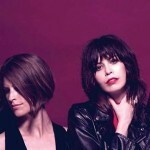 Native Tongue is excited to announce the recent signing of The Jezabels. 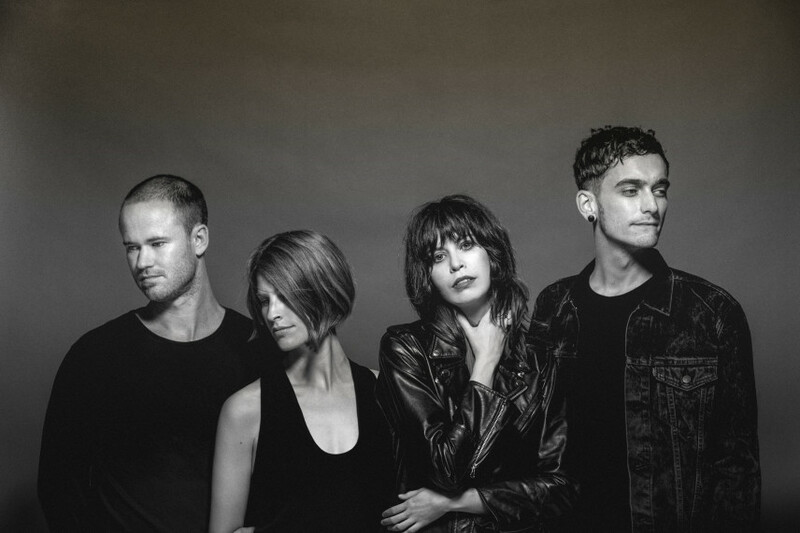 After 18 months off the road, writing and recording with long-time producer Lachlan Mitchell, The Jezabels return with their third studio LP Synthia, featuring new single ‘Pleasure Drive’. Native Tongue’s Matt Tanner stated, “As longtime fans of The Jezabels, we’re really excited to be joining them on the next part of what has been quite an extraordinary journey so far. Synthia is a truly accomplished body of work and we take pleasure in being a part of the team”. This week’s feature album on Triple J, Synthia will be released independently this Friday February 12th via MGM in Australia/New Zealand, The Groove Merchants in US, Caroline in UK/EU and Dine Alone in Canada.